My main research interests revolve around Neural Computation. I’m especially interested in Computational Neuroscience and how different biological neural systems solve different types of computational problems. My motivation here lies mainly in the potential of applying this knowledge to the field of Artificial Neural Networks. Hence, most of my short to medium term concerns overlap with the general concerns of Machine Learning, while most of my long term concerns overlap with Artificial Intelligence and Cognitive Science. In terms of problem domains, I have mostly been involved in the research of visual functions and therefore I have traditionally worked mostly with image data, although my goal is to create algorithms which automatically adapt to different problems and types of data. The Applied Computational Neuroscience lab is an informal lab that was created in October 2013. As suggested by its name, it is concerned with the application of Computational Neuroscience knowledge, in both biological (e.g. brain computer interfaces) and artificial (e.g. 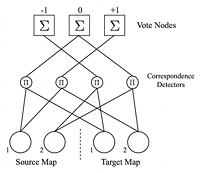 artificial neural networks) contexts. In the former context we have been primarily concerned with simulating neural systems in order to better understand them and to design improved brain computer interfaces. In the latter context we have been primarily concerned with incorporating new biological design principles into artificial neural networks. Most of our recent focus has been on applying new biological design principles to artificial neural networks, namely: (1) non-linear interactions between neighbouring synapses, (2) neuronal diversity and (3) parallel circuits. Other design principles we are interested in include: (1) sleep, (2) modularity, and (3) the integration of evolutionary, developmental, learning, and adaptation mechanisms. The latest roadmap for the ACN lab can be found here. Tomas Maul, Andrzej Bargiela, Tran Trung Kien, Abdullahi Adamu, Rajeswari Raju, Tan Shern Shiou, Phan Kien Tuong. What convergence and generalization advantages do parallel and interacting circuits confer to ANN? How can the convergence and generalization advantages of neuronal diversity be maximized? How can the optimization of neural diversity machines be improved? How can specialized cost functions be designed for the evolution of general neural diversity machine architectures? What image processing functions can neural architectures inspired by the Outer Plexiform Layer of the retina implement? How can we use simulation-modeling techniques to suggest better retinal prosthetic designs? How can we improve segmentation techniques for automated neural circuit reconstruction (e.g. deciphering the retinal connectome)? How can Higher Order Neural Networks be efficiently trained in an unsupervised manner, in order to solve difficult visual problems such as pose estimation and symmetry axis extraction? Do the complex non-linear computations taking place in dendritic trees support the types of computational solutions implemented by Second Order Neural Networks? If so, what can we learn from the biological counterparts? For a list of publications please go to my ResearchGate profile. Maul, T.H. A Multiple Object Symmetry Axis Extractor. Filed December 2007. Patent Registration Office, Malaysia. Maul, T.H. An Automated Cot Surveillance System. Filed December 2007. Patent Registration Office, Malaysia. Lai, W.K. & Maul, T.H. System and Method for Authenticating Image Liveness. Filed December 2007. Patent Registration Office, Malaysia. Al-Deen, A.B., Loy, C.C., Kadim, Z., Lai, W.K., Maul, T.H., Liang, K.M., Tan, C.P. Method to Detect Abnormal Events for Wide View Video Images. Filed February 2008. Patent Registration Office, Malaysia. Maul, T.H. Adaptive Scale Local Illumination Normalization for Image Correction. Filed July 2008. Patent Registration Office, Malaysia.